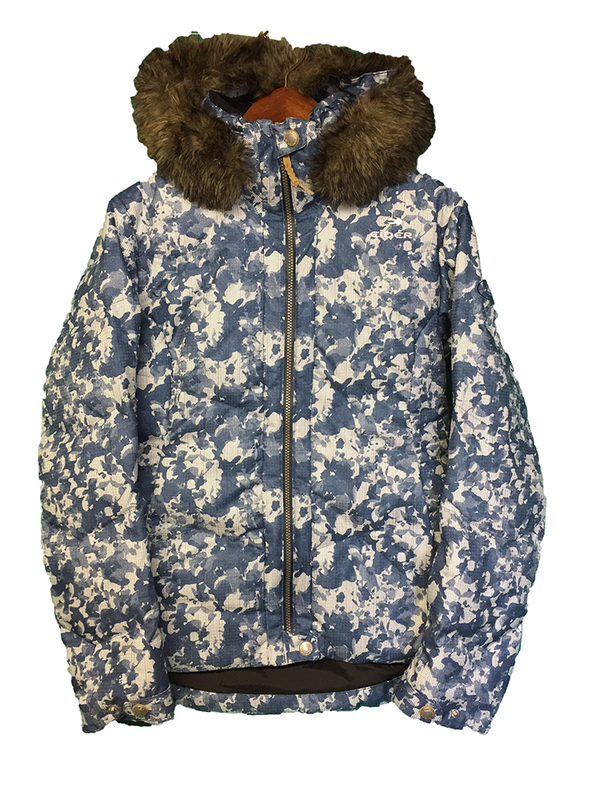 "For the fashion forward resort skier, the Montmartre Jacket offers the cozy warmth of a puffy, with a flattering cut and ultra feminine style. The plus, its feminine faux fur. For the fashion forward resort skier, the Montmartre Jacket offers the cozy warmth of a puffy, with a flattering cut and ultra feminine style. The DEFENDER membrane provides waterproofing and breathability, whether skiing world famous resorts or walking busy city streets. Removable powder skirt, hood, and faux fur trim offer great versatility, while the hybrid mix of duck down and synthetic E-Loft insulation provide exceptional warmth with minimum bulk.